The growing use of internet as a medium for marketing has lead to many innovations in online advertising. One of these great innovations from early 2000’s is Google Adwords. What started as a search advertising program is now a full blow advertising network reaching almost 85% of all web users on most popular websites like Google.com and Youtube.com. With Google Adwords PPC advertising you are charged only when somebody click on your ad rather than CPM model, where you are charged for every 1000 impressions your ad receives irrespective of how many people actually interact with your ad. Below are 7 reasons why all dentists should try Google Adwords PPC Advertising. 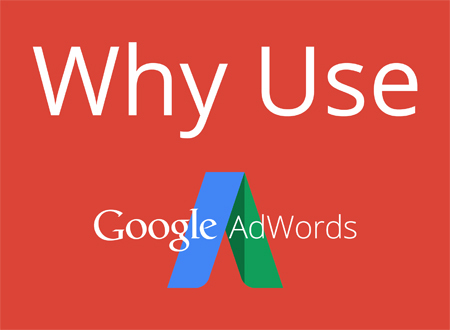 Google Adwords is very quick to setup and get started. It can deliver results very quickly. This is a huge advantage in situations where you need new patients fast or you have a great service/offer that you want to push out before your competitors. Most other alternatives require development of creatives which can can time consuming. Do you wish to target hispanic dental patients only? With google adwords language targeting you can do that very easily. Google Adwords also has very comprehensive location targeting features. You can target residents of certain zip codes, cities and towns or better yet a 10-mile radius around your dental office. Remember the closer a prospective patient is to your office, the more likelier they are to visit. You can also exclude languages and locations that you want to avoid. Using the Google Adwords Search network, you can advertise to people who are looking for a dentist in your city. These people are highly interested in professional dental treatment and you can offer your service to them by advertising on google for relevant keywords. What is even more impressive is that you can exclude keywords to avoid showing your ad for irrelevant keywords. For e.g. if you do not treat children you can add keywords like children, kids, paediatric etc. as negatives to ensure that anyone who is searching for paediatric dentists does not see your ad. This way you will attract clicks only from qualified visitors who are interested in your service. A Google Adwords can be started for as little as $5/day. While that may not get you much clicks, it just goes to show that you can control your advertising cost depending on your marketing budget for the month/week. You can also control how much you want to pay per click for each keyword you want your ad to appear on. This granular control allows you to run the campaign, stop the campaign, adjust bids up or down, adjust budget up or down and activate/pause the campaign whenever you want. e.g. If you have plenty of appointments next week, you can keep the campaign paused. If you want to fill up your schedule for the subsequent week, you can re-activate the campaign again before the preceding week begins. Another amazing feature Google Adwords offers is the ability to tag and then re-target people who visited your website. This feature works for both search and display network and is very useful in reaching visitors who abandoned your website. For e.g. You can use re-marketing ads to target visitors who left appointment form or contact form uncompleted with a discount offer to convince them to make an appointment. Google Adwords has the most comprehensive tracking and reporting features of any popular advertising platform. You can track click to calls, calls from websites, calls from ads, form completions, app installs, downloads and even import your google analytics conversion goals into your adwords account. These conversion actions are then backed by in-depth reports of all aspects of campaign performance that allow you to evaluate the success of each campaign. All these conversion tracking and reporting are free for all advertisers irrespective of their ad spend. Google Adwords comes built in with free campaign optimization tools that allow you to maximize the performance of your campaigns to deliver your desired conversions. For e.g. your goal is to generate a maximum number of online appointments, you can create a conversion in adwords to track the number of appointment form completions. Then once your campaign has had over 15 conversions over the last 30 days, you can enable conversion optimizer and define your target maximum or target patient acquisition cost. You can then sit back and let Google Adwords Conversion Optimizer run your campaign on auto pilot. It will adjust your CPC on keywords automatically to generate the highest number of conversions (appointments in this example) possible in your budget.